Christmas.. the most wonderful time of the year! With tinsel streaming like shooting stars across every bannister, ceiling, eave, and overhang in the city; and lights strewn the length of Oxford and Carnaby Streets, around Covent Garden, and over every boulevard and thoroughfare the mood in December in London is like no other. 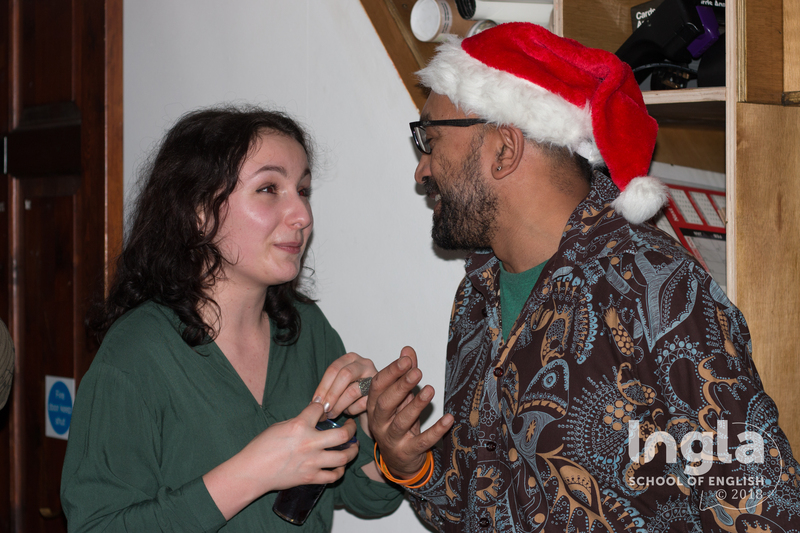 The stage was set for Ingla’s annual yuletide party, a celebration of the end of the long, cold winter term as much as of Christmas. 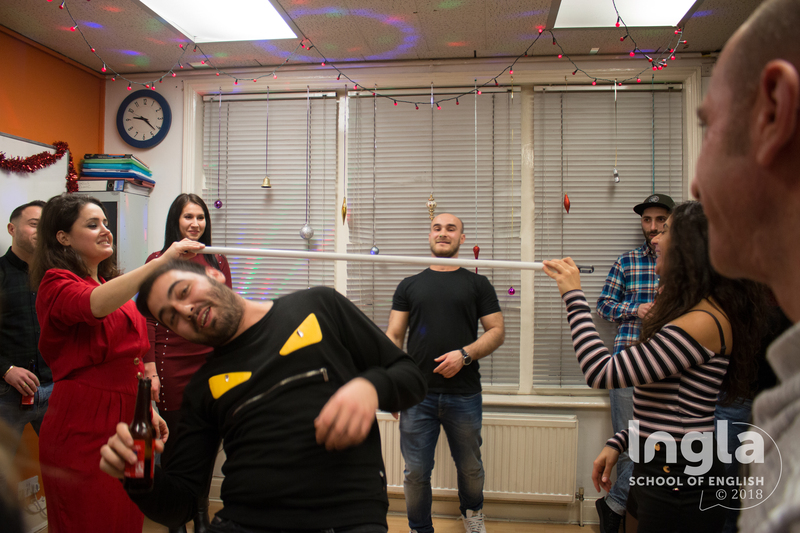 At Ingla, we know how to teach English, and we know how throw a great party too. 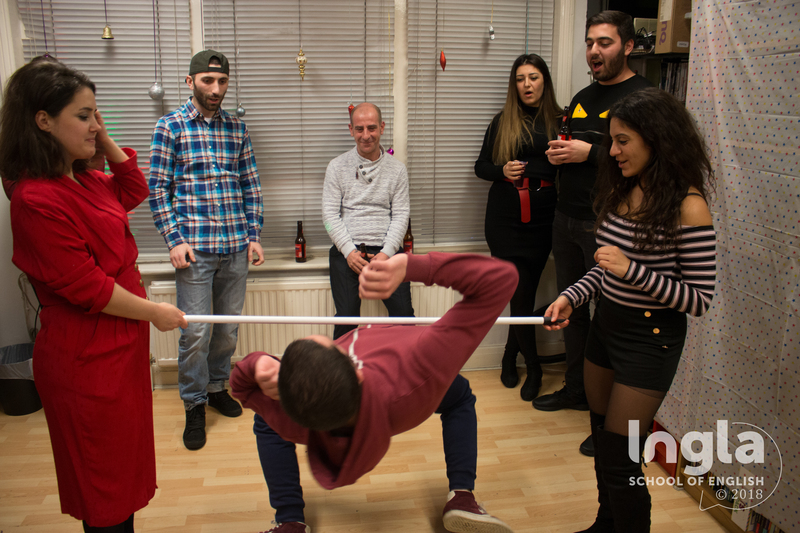 The night started slowly with some genuinely entertaining party games that tested our students’ wits and their physical abilities. The house was packed, as usual, and everyone was feeling the Christmas cheer. 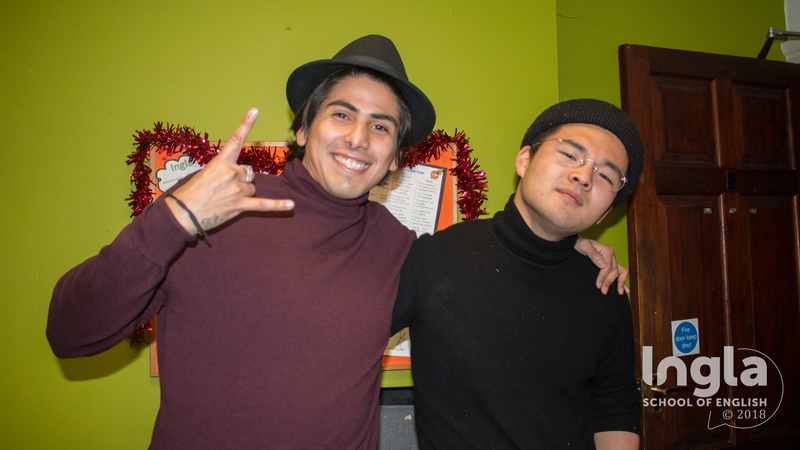 It was the collective great mood of a group of hardworking people getting together to let their hair down and breathing a sigh of relief before a well-earned break. The festive season of Christmas brings out the best in one of the best cities in the world, and Ingla fully gets into the spirit of the season. Our school was decked out with an array of glittering, sparkling ornaments hanging from every free inch of ceiling space and as big a tree as can reasonably fit on a reception desk. 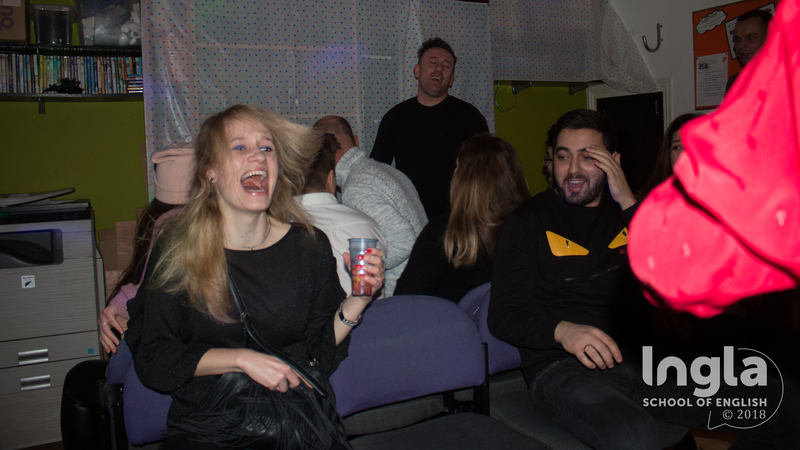 There’s nothing like a game of musical chairs or limbo to get people out of their seats, moving, talking, and laughing. 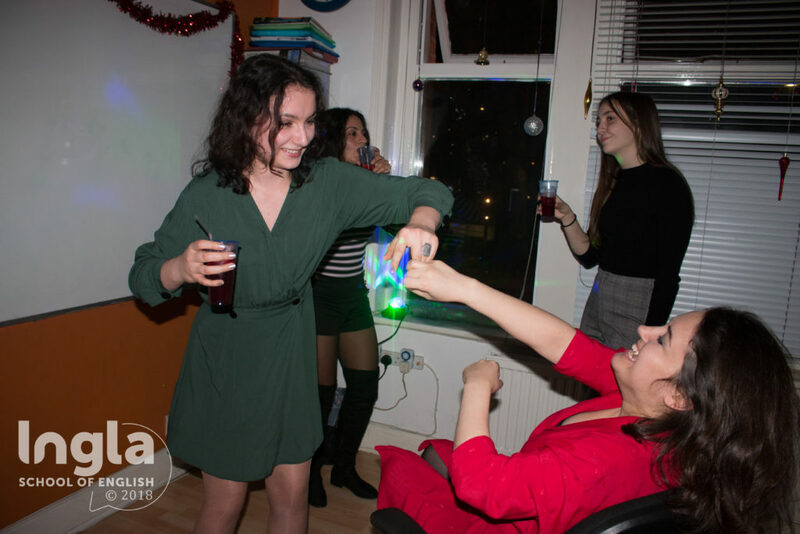 Inglans met other Inglans and the atmosphere grew more festive as the night went on – even our inflatable Rudolph doll got up off his perch atop the water cooler and got down on the dancefloor. 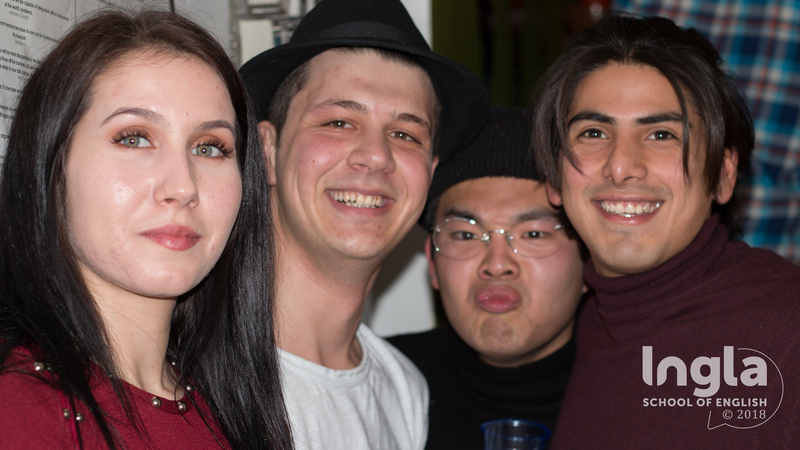 Life can be very hard in London, but finding a group of like-minded people to share the hope, joy, and tears and to celebrate with can make it all worthwhile. 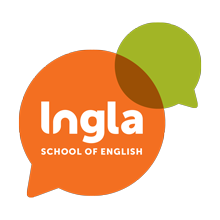 Ingla at Christmas is a respite from the madness of everyday life – an oasis in a sterile desert where you can learn English, make new friends, and celebrate Christmas in style.